There are about three hundred different species of Campanula. The family contains annuals, biennials and perennials, most of which produce bell shaped flowers in shades of blue, purple, pink or white. The plants themselves range in size from low growing miniatures and creepers to six foot upright plants. 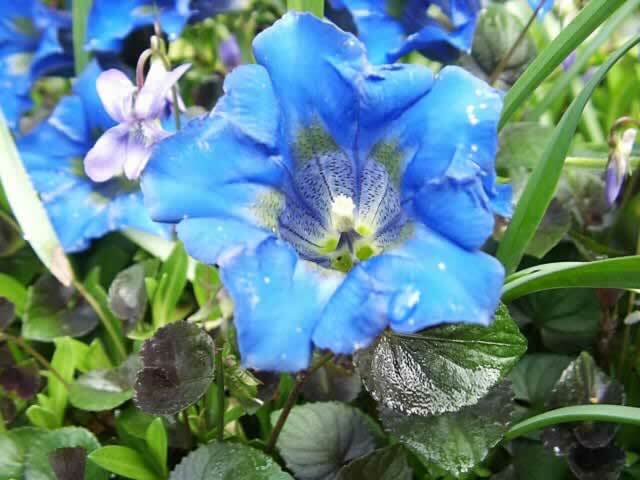 Campanulas should be grown in full sun and planted in rich, well drained soil. They should be kept well watered, especially when in bloom. 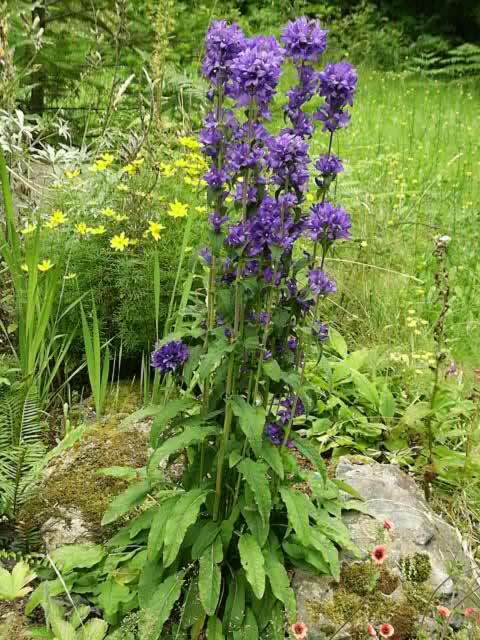 Once established and actively growing, Bellflowers should be fed every two weeks with a good all-purpose fertilizer. Remove the spent flowers promptly to promote new growth. about 8 weeks before the last frost date. Campanula seed require light for germination so do not cover them. If the seed flat is kept at about 75°, the seeds will germinate in 10-14 days. Keep the seedlings in bright light until it is time to transplant into the garden. Perennial forms of Bellflowers can be propagated by seeds or cuttings. 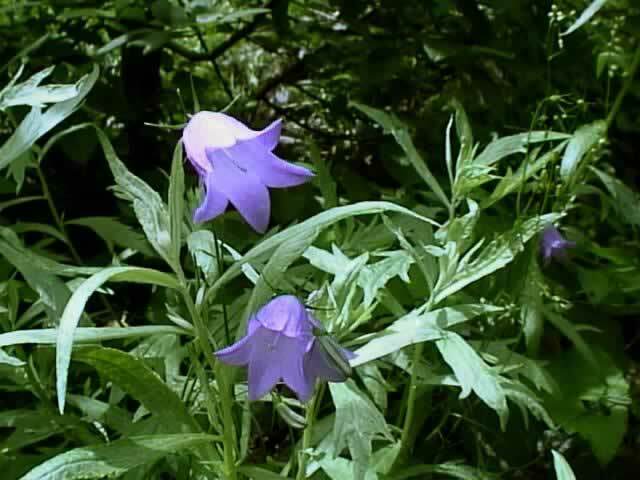 Established Campanula plants should be divided every two to three years. Bluebells of Scotland, Campanula rotundifolia is a clump forming perennial that is hardy to USDA zones 3-9. From June through September, produces multiple stems, each with a single nodding bell shaped flower. 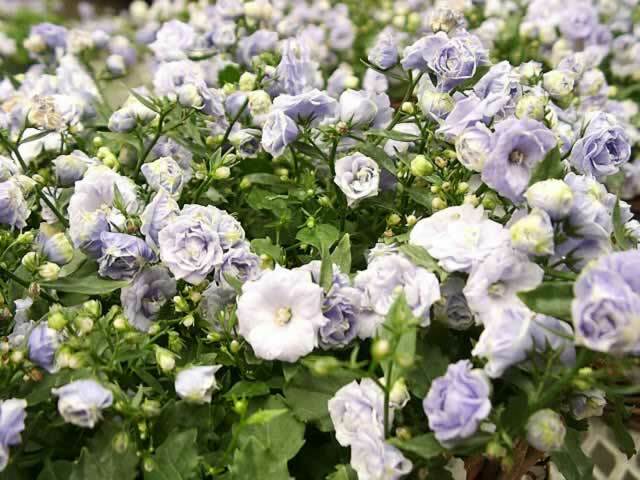 Carpet Campanula, Campanula carpatica is a low growing perennial plant,hardy in zones 5-9. 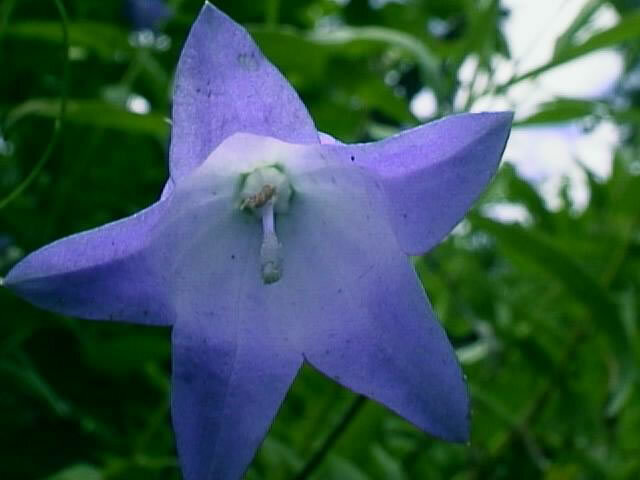 It produces blue or white bell shaped flowers throughout early Summer. Cup and Saucer Bellflower, Campanula calacanthema is an annual variety of Bellflower that prefers full sun and rich, well drained soil and should be kept well watered, especially when in bloom. Clustered Bellflowers, Campanula glomerata are upright growing perennials, hardy in zones 3-8, with light green, fuzzy lance shaped foliage. They produce a cluster of one inch, vase shaped flowers atop 2 ft. stems all summer if the spent blossoms are removed promptly.